(TibetanReview.net, Jun25, 2015) – In further reports about China’s strict enforcement of ban on activities seen as celebrating the 80th birthday of Tibet’s exiled spiritual leader, the Dalai Lama, Radio Free Asia (Washington) said Jun 23 that a Tibetan young man was arrested in Rebgong (Chinese: Tongren) County of Malho (Huangnan) Prefecture, Qinghai Province, on Jun 20 for his WeChat postings while aggressive preventive actions were taken on Tibetans in the area. The report cited a Tibetan source as saying Tsering Dhondub, 25, of the Dugkar family in Manggo Village was held for having posted an image of the Tibetan national flag and a photo of the Dalai Lama on his WeChat account. It said his village had planned a variety of activities for Jun 20-21 to mark the Dalai Lama’s 80th Tibetan-calendar birthday but that its residents were stopped by the Chinese authorities. They could therefore only celebrate the event within the confines of their homes, placing photos of the Dalai Lama on their altars, making offerings of food and flowers, and reciting prayers for his long life. Both in Rebgong and other Tibetan-populated areas the Chinese authorities were reported to have posted warnings against celebrating the event and to have banned and blocked public gatherings, including picnics, seen as being linked to it. Monks at Rebgong’s Riwo and Palden Gyurme monasteries were reported to have held prayer services for the Dalai Lama’s long life over the weekend, including with making of offerings before his photos. However, when the Tibetan public tried to join them, the Chinese authorities blocked them, the report said. Even mobile phones carried by Tibetans were confiscated and their contents searched, a local source was cited as saying. However, the report said, in Chone (Zhuoni) County of Kanlho (Gannan) Prefecture in neighbouring Gansu Province, the authorities were largely unsuccessful in preventing Tibetans from celebrating the event. At a place called Tsawushi, Tibetans were reported to have held prayer services for the Dalai Lama’s long life over May 5-Jun 5. 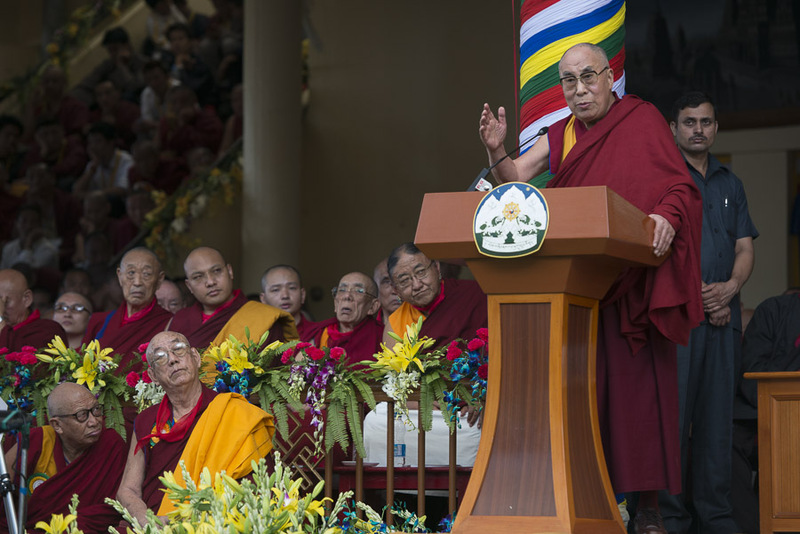 China’s main focus now is on preventing celebration gatherings and activities on Jul 6, when the Dalai Lama birthday is usually celebrated or marked.